Buying a pickup truck is an exciting moment–and a major financial investment. While it’s easy to get caught up in the excitement and get carried away, it’s also easy to fall into the trap of buying a truck without really understand what’s included or how you’ll use it. If you’re new to the pickup truck world, you’re at even higher risk of this mistake, and it’s a mistake that could cost you tens of thousands of dollars. Before you dive in and spend a pretty penny on a truck that’s more than you can handle, know the facts. As a first-time pickup truck buyer, here are the key things you need to know when buying a truck. Maybe you want a pickup to tow your camper, or haul construction materials. You may be planning to use your pickup on backroads and to cross streams. Or it could be a commuter truck that rarely leaves the pavement. Maybe you just want a pickup truck because you like how pickups look. Those are all valid reasons to want a pickup truck. But knowing the truth behind why you’re buying a pickup is going to be your guiding light while buying a truck. Think of it this way: if you were buying a car that could safely fit your small children and extended family, you wouldn’t buy a sports car. The same principle applies to trucks. A truck you intend to use for towing will be different from a truck you use for construction, or for everyday commuting. Trucks are just as customizable as cars, if not more so, so knowing the exact intentions will inform your budget and requirements. Payload capacity: how much weight the truck can carry in its bed and cab combined. Towing capacity: how much weight the truck can tow. If you’re buying a truck to tow a camper, trailer, or boat, make sure you know how much it weighs to narrow in on a towing capacity range. AWD (All-Wheel Drive): trucks that automatically drive all four wheels at all times (unlike 4WD vehicles, which can manually be switched between 2WD and 4WD). 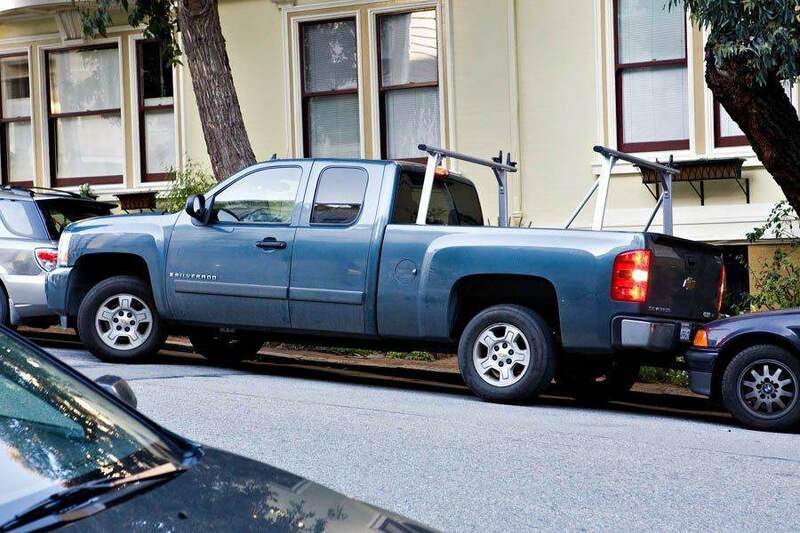 Short Bed: the shortest standard truck bed length available, approximately 5’8″. Standard Bed: the standard medium truck bed length, approximately 6’5″. Long/Extended Bed: the longest standard truck bed length, usually 8′. Standard cab: cab with one row of seats, typically fitting 2 to three people with very limited storage behind the row (if at all). Extended cab: cab with two rows of seats, but the back doors are reverse-hinged. The rear doors on most extended cabs can only be opened if the front doors are open. Legroom is limited in the back row. Double cab: a step up from extended cab, these also offer two rows of seats, but the second set of doors is not reverse-hinged and the rear doors are shorter than the front doors. Legroom is still limited in the back row. Crew cab: the largest cab size available, these trucks offer two full rows of seating with both front and rear doors approximately the same size. Heavy duty: sometimes called a “1-ton truck,” heavy duty trucks are made for towing or carrying heavier equipment. These trucks typically have a larger payload capacity and/or towing capacity. Light duty: an everyday truck, sometimes called a “half-ton truck.” These trucks lend themselves well to commuting, moving bulky items, and towing smaller loads. There’s a good reason most commuter cars are small sedans. Parking in a city, or any densely populated area, is difficult enough with a small car. With a pickup truck, it can be a nightmare. When you’re deciding on size, take some time to consider where you’ll be taking the truck. If you plan on parking it in a garage from time to time, consider the additional fees often tacked onto truck parking. For commuters and city dwellers, think about parking squeezes. Will an extended bed be worth parking half a mile from your home because it’s the only spot with space big enough? Opting for a short bed and standard cab will keep your truck easy enough to park, but if you intend on using the truck to move larger items, you may need to sacrificing parking comforts to get the size you need. When shopping for your truck, one of the best ways to explore every option available to you is by building your perfect model online. It’s exactly the same as when you do this to design your perfect car: select colors, trimmings, build, and special features to create a truck that’s just right for you–and to see how much it will cost you. Just like when you’re buying a car, your perfect model is going to be much more expensive–and will take longer to get–than a similar model sitting on a dealership lot. Because that’s the case, you’ll need to prepare to make compromises unless you’re willing to drop extra cash. There’s no way to get around it: owning a truck is more expensive than owning a car. You may be prepared for the sticker shock at the dealership, but it doesn’t end there. MPG on trucks is significantly lower than cars, driving your gas budget higher (even more so if you buy a diesel truck). Vehicle insurance typically costs more for trucks. Maintenance and materials can be larger and far more expensive than cars. In short, owning a truck is going to cost much more than owning a car. That doesn’t mean that owning a truck is an impossible luxury, simply that you’ll need to plan for these extra costs. You can make the most of your pickup and pay off the extra costs with Dolly. Work on your own schedule helping members of your community move, pick up new furniture, take away donations, and more. And with earnings over $30 per hour, just taking a few Dollys a week will make paying off your pickup truck easier. Friends don’t let friends buy a used truck without consulting a mechanic. You already know that maintenance and parts tend to cost more for trucks than cars, making it even more important to get a used truck inspected before you buy. If you don’t know anyone who works as a mechanic, you might be able to pay someone from the local repair shop to come inspect the vehicle for you. Once you’ve purchased your used truck, replace all the fluids and bring it into the shop for a proper inspection. Even if nothing’s wrong with it and it has less than 50,000 miles, an inspection will tell you what potential problems the vehicle may face in the future, plus things to do to keep it in the best shape possible. Once you’ve found your perfect pickup truck, you’ll be glad you thought through all the options. You’ll also quickly become the “guy with a truck” that your friends reach out to for moving help. 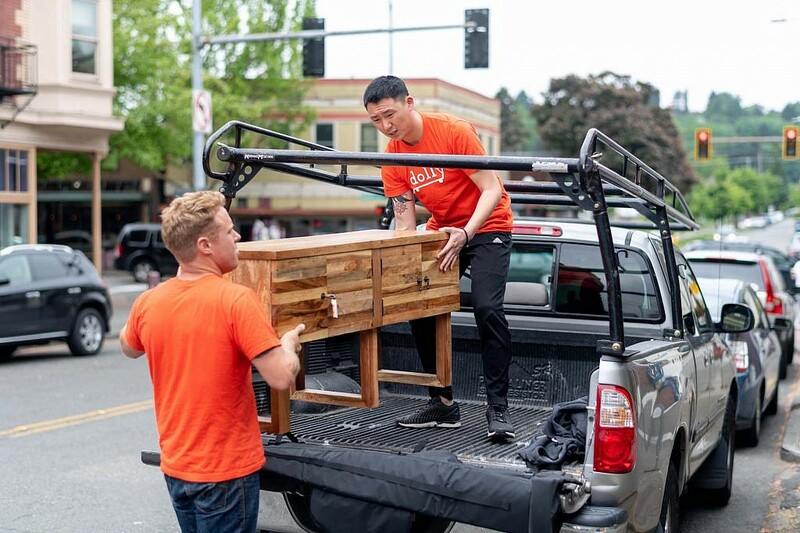 Instead of losing money helping your friends move, become a Dolly Helper and make over $30 per hour helping members of your community move their stuff. Take only the Dollys you want to work on and set your own schedule to make money towards paying off your truck (or saving for your next one) with Dolly.